Last assignment in the Bootcamp was to paint on a piece of wood. I found this old and rough plank in our garage and painted this little mini scene. It was way more fun to paint on wood that I thought so I painted some more pieces that I will show you next week. 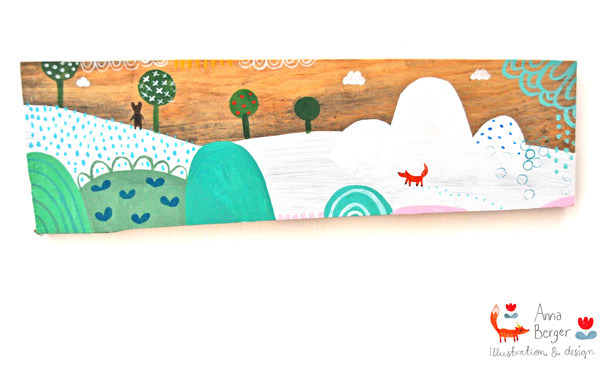 This entry was posted in Illustration, Inspiration, Painting and tagged landscape, woodpainting on 24 February, 2015 by Anna.